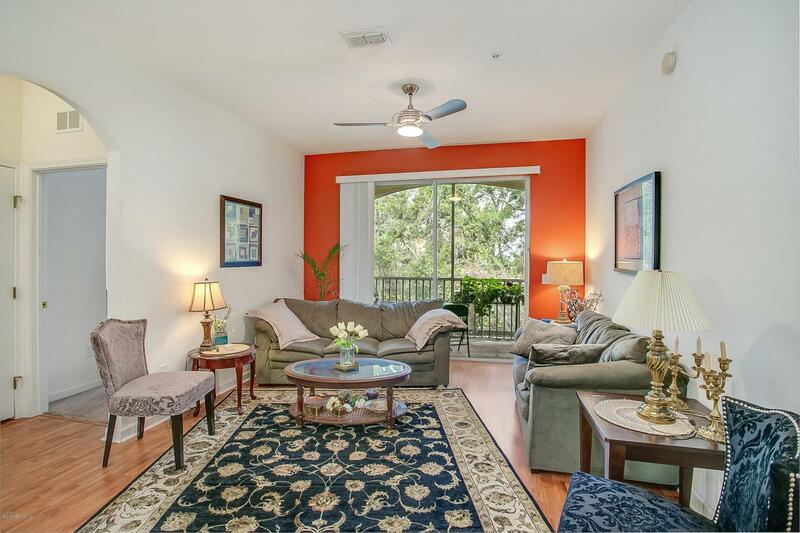 This pristine corner unit in sought after building has peaceful preserve views for days. New, high efficiency HVAC w/ 10 year warranty. Light, bright kitchen w/white 42'' cabinets, beveled counters, smooth top range, new dishwasher & disposal. New laminate flooring and carpet throughout. 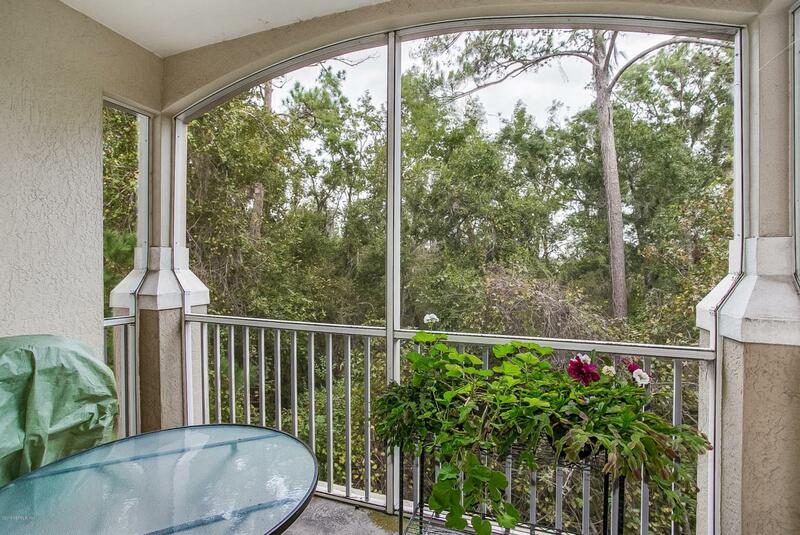 Nice master suite w/oversized walk-in closet, en suite tiled bath & wooded preserve view. Living areas open to screened lanai w/preserve view. Solid CB construction, covered, assigned parking, elevators in every bldg, fiscally responsible management make this the best Southside condo. 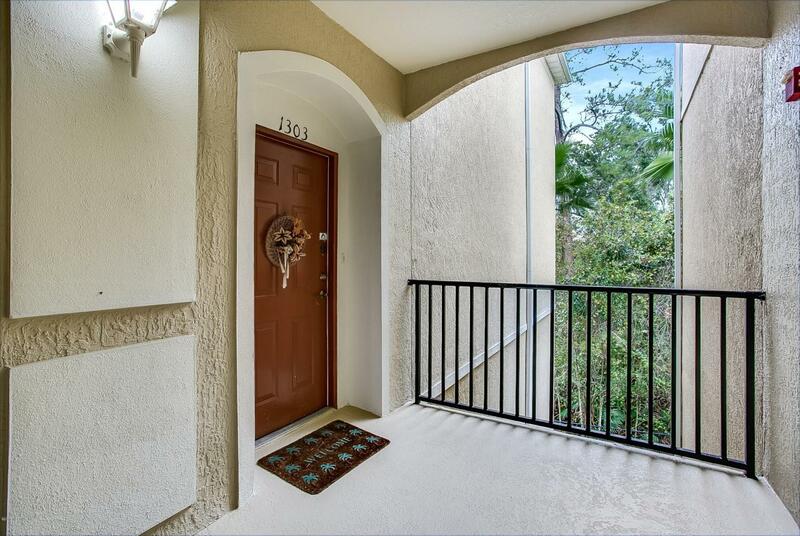 Amenities include gated entry, on site full time management, pool, clubhouse, gym, water/sewer included. 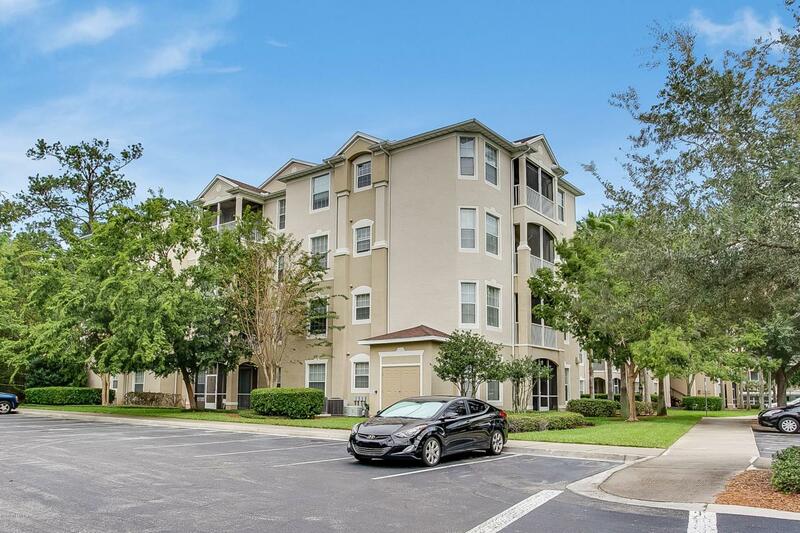 Convenient location minutes to Ikea, Mayo Clinic, Town Center,UNF & major thoroughfares. Don't miss out-this won't last!